On the eve of Salma's twenty-first birthday, friends and family travel to New York for a celebration reluctantly organized by her grandfather Darwish. As the guests make their way to the party, each journey takes on a greater significance than a simple trip to the city, as they find themselves examining their pasts, their relationships to one another, and to the country in which they live. 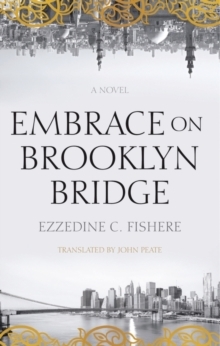 Between Cairo and New York, Embrace on Brooklyn Bridge paints a vivid portrait of a fragmented Arab-American family, one struggling to become whole again and to let go of the past.